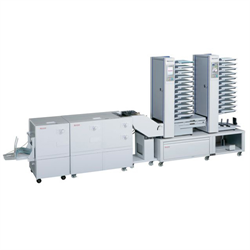 Of the many processes in print finishing, bookbinding / bookmaking is one of the most commonly used methods. 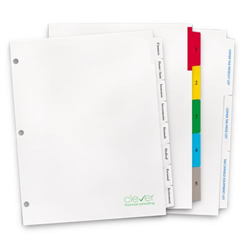 Educational textbooks, entertainment programs, company catalogues, cookbooks, phone directories and calendars are examples of what can be professionally bound. 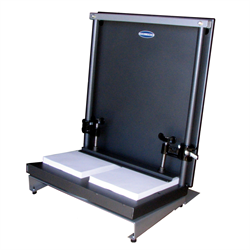 Popular binding methods are perfect binding, saddle stitching and mechanical binding. 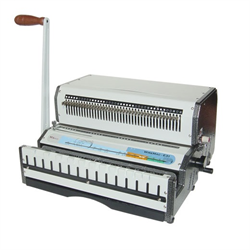 Mechanical binding includes books bound with plastic comb, plastic coil, double-loop wire as well as loose leaf sheets inserted into a binder. 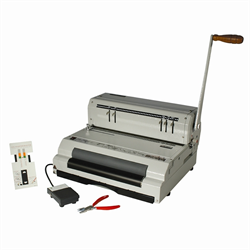 Using a binding machine and binding supplies, individual sheets are bound together into one document. 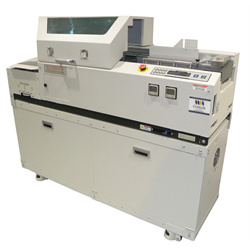 Cortech carries a full range of bookbinding / bookmaking equipment, in both automated and manual operation function; some mechanical binders are available as combination machines. 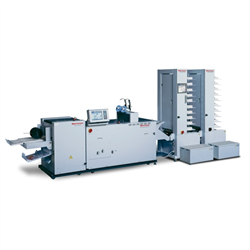 We can supply binding machines for entry level through to trade bindery production output - machines capable of producing from 180 to 6,000 books per hour. 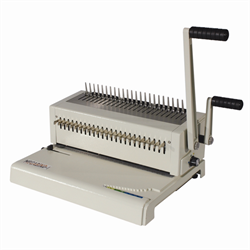 To complement our bookbinding / bookmaking equipment, Cortech stocks a complete range of binding supplies and accessories, available for same-day shipping. 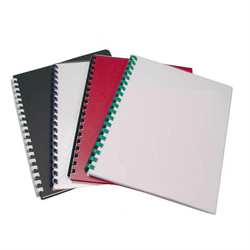 We have the largest stock of binding supplies in Western Canada, all of which can be found in this section. Whatever binding method you offer your customers, Cortech will help you create professional reports, presentation materials and books. 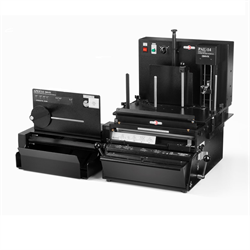 We provide trade binderies, commercial printers, quick print shops, and copy shops with equipment, supplies and support to finish the job. 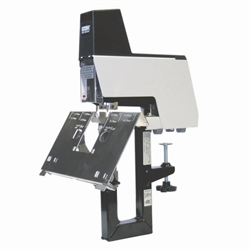 Whether your needs be short-run projects or high-volume production, Cortech has you covered.